Applications accepted on Tuesdays at 2:00 PM at 1421 Austin Ave, Waco, TX 76701. Call office to schedule interview if cannot come on Tuesday at 2:00 PM. After approval for the waiting list, applicants must call-in weekly in order to remain on the waiting list. The waiting list is approximately 1-2 months, but changes on a week-to-week basis. family counseling, job training/search, drug/alcohol abuse treatment, after-school daycare, children’s programs, transportation, literacy training, health care, social and domestic skills, using in-house staff and in conjunction with local agencies currently providing support services. 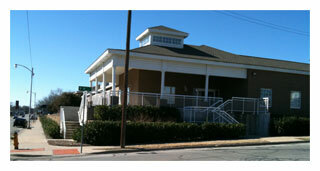 Compassion Ministries provides transitional housing in our shelter facility. Residents live in their own on-site, fully-furnished apartment that includes: kitchen/dining area, living room, bathroom and bedroom space. Residents only are required to bring personal items and clothing. - compliant with the policies and procedures of Compassion Ministries. *Exemplary residents of our program can apply for a 6 month extension at the end of their first 6 months. 12 months is the longest duration for Extension Residents. Are you familiar with Compassion Ministries Of Waco ? Help FreeRehabCenters.org users find out answers.